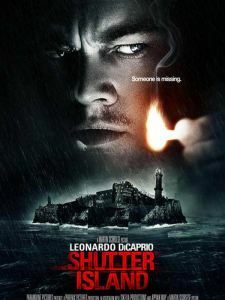 I can’t remember the last time I loved a movie as much as I loved “Shutter Island”. I might be a little bit biased when it comes to Martin Scorsesse pictures, but “Shutter Island” really deserves to be considered as one of his best work. The year is 1957, two U.S marshals (Leo Dicaprio and Mark Ruffalo) are assigned on a remote island to investigate the disappearance of murderess who seems to have escaped from the prison hospital. No one knows how she managed to escape, but we do know that she killed her 3 sons. The whole movie works like a labyrinth in which leo’s character and the audience are rats in that maze. We want an answer as much as he does. But no one seems to be giving us that answer. Scorsesse manipulates us; and he keeps doing that until the last second of the movie when the truth is finally revealed. That’s how brilliant that guy is. As much as the truth might sound confusing at first, if we look at everything in retrospective, it makes complete sense. And that’s exactly why I loved “Shutter Island” so much; it’s one of the most intelligent movies I’ve seen in a long time. A must see. I included both movies on my list of favorite movies of 2010. Both were fantastic! one of my favorite movies! I wonder how Leonardo hasn’t won an oscar yet!